Our Spa offers several areas to really relax, enjoy your stay and charge your batteries. Kindly inquire about availability and we will reply as soon as possible. Our establishment has different services to make your stay more comfortable such as solarium, terrace, the parking, elevator, and all rooms facing out. SPA for relax consisting of: Turkish bath, Scottish shower, whirlpool, relaxation room, Jacuzzi, massage room, etc. Restaurant service allows our customers to taste dishes of our traditional cuisine or international cuisine and especially typical meals on request “El Puchero amb pilotes casolanes”, ” Mintxos”, “Olleta de blat”, “Pilotes de Dacsa” y “Cuscús” . 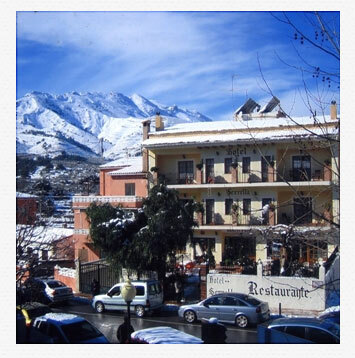 The rural hotel is located in a town located in the depths of the Alicante mountains. In Castells of Castells you can peacefully spend a few days in full contact with nature and rural life. The establishment has 8 rooms and 8 suites equipped with all sorts of elements for better comfort and enjoyment of our clients. Double and Marriage rooms, TV and air conditioning services that are available in each room, some rooms have fireplaces. HOTEL RURAL SERRELLA is a great starting point for unique and unforgettable excursions where you can see caves as the “Somo“, remains of prehistoric cultures as in Petracos or natural places as impressive as Els Arcs. Familiarity, the place, there are cave paintings worth seeing . It has a nice terrace for evening dining. The village, in August celebrations has nocturnal processions. Gloria. What I liked about the hotel is the location. Castells de Castells is a charming village surrounded by mountains. Inmaculada. Tranquility, treatment and food. Jose.